Small businesses in the UK are facing bills of more than £2 billion, just to chase up customers who don’t pay on time. 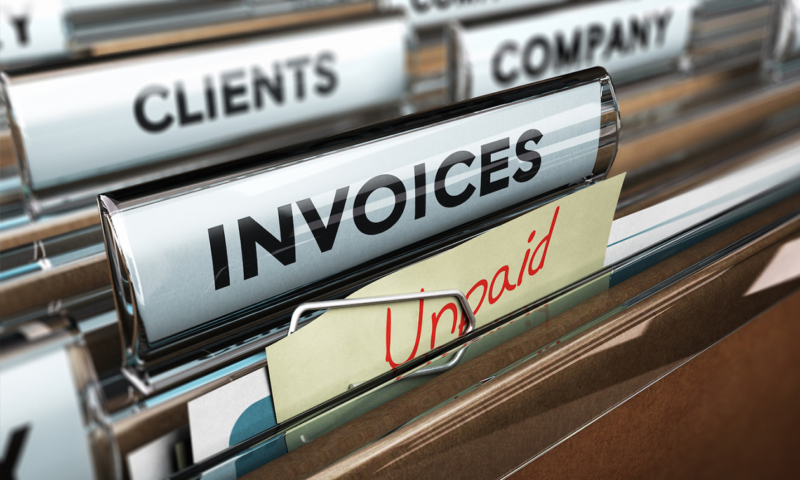 What’s more, across the country, small businesses are suffering under the weight of £14.2 billion in unpaid invoices. The situation may seem dire, but it was even worse five years ago, when that figure stood at more than £30 billion. So what’s the effect of this mountain of debt on daily operations for SMEs? For starters, SMEs must chase those late payments. This leads to a great deal of time and money wasted in the process of chasing. The numbers paint a clear picture. 39% of SMEs spend up to four hours a week chasing late payers, while 12% employ someone specifically to pursue outstanding invoices. It gets worse. According to the Bacs research, almost one in five SMEs affected by overdue payments admit that being owed between £20,000 and £50,000 would be enough to drive them into bankruptcy. Seven percent say they’re already facing the danger zone. 16% of those facing late payments struggle to pay their staff on time. Additionally 28% of company directors have had to reduce their own salaries to keep essential working capital inside their businesses. Nearly a third say that overdue invoices compel them to delay paying their own suppliers, which perpetuates the late payment culture. Meanwhile a quarter of businesses rely on bank overdrafts to make essential payments. A further 15% have trouble paying essential business bills, such as utilities and rent. Late payments don’t just block cash flow for small businesses; but also jeopardise the long-term security and capital needed to grow and evolve. Customers pay late for reasons ranging from pure forgetfulness to their own cash flow issues, and everything in between. But no matter why, the end result is the same: businesses don’t get paid on time. Rather than cajoling, pleading and persuading customers to pay on time, it makes much better sense for businesses to simply put in place automated systems. These remove the pain of late payments, making the entire process streamlined and hassle-free, both for businesses and their customers. This is what GoCardless does best. By encouraging customers to set up automatic payments by Direct Debit, businesses can ensure no more missed payments, keeping their cash flow in good shape. GoCardless uses technology to level the playing field. It offers businesses of all sizes the benefits of Direct Debit, the UK’s most reliable payment system. “Falling late payment totals is welcome news for small to medium-sized businesses and for the wider economy. It’s good to hear that relatively simple measures like collecting money by Direct Debit are helping to keep SMEs out of the late payments trap,” Mike Hutchinson of Bacs told Business Matters magazine. Growing numbers of the UK’s small businesses are using GoCardless to solve the late payments problem. In the process, they are challenging the existing late payment culture that affects so many SMEs every year. “The biggest benefit of GoCardless has been time saved chasing up customers who’ve not paid. I was spending several hours a week on the phone, or sending out polite chaser emails to clients. That time tends to stop you being efficient,” said Barbara Gaunt of FD Works, a Bristol-based accountancy firm. And using GoCardless is sure to give a substantial boost to cash flow, as the story of Has Bean Coffee shows. After switching to GoCardless, the company reduced its average invoice payment period from 62 days to 41. They also improved cash flow by a whopping 30%. To save time and money chasing payments, boost cashflow, and importantly, tackle the wider late payments culture, more small businesses should consider taking payments by Direct Debit. Nicola Anderson is the VP of marketing at GoCardless. The post SMEs face large bills to chase debts, but Direct Debit is helping appeared first on Xero Blog.